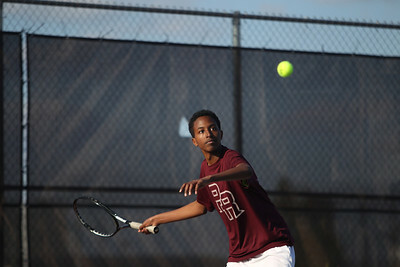 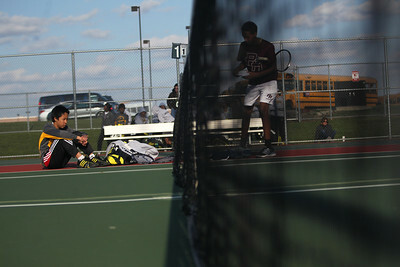 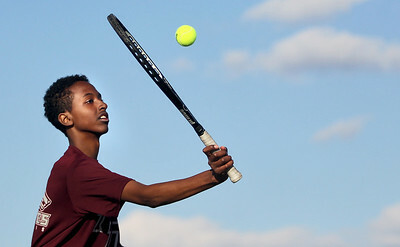 Sarah Nader - snader@shawmedia.com Prairie Ridge's Imraan Alas returns a ball while competing in a singles match against Jacobs in Algonquin on Wednesday, April 24, 2013. 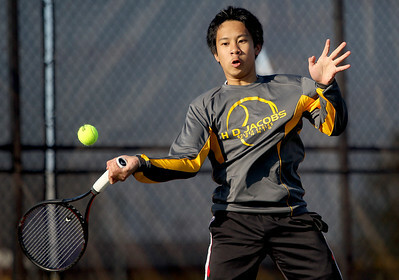 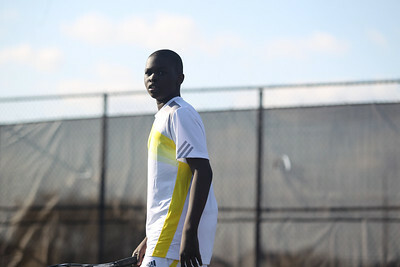 Sarah Nader - snader@shawmedia.com Jacobs' Kendrick Chong returns a ball while competing in a singles match against Prairie Ridge in Algonquin on Wednesday, April 24, 2013. 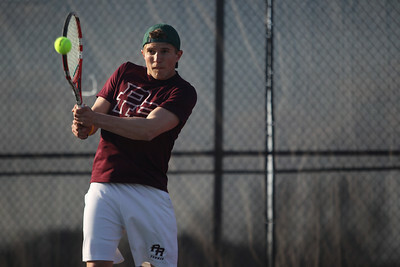 Sarah Nader - snader@shawmedia.com Prairie Ridge's Mitch Mohr returns a serve while competing in a doubles match against Jacobs in Algonquin on Wednesday, April 24, 2013. 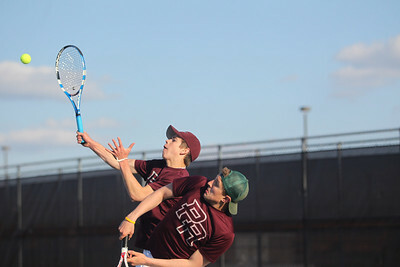 Sarah Nader - snader@shawmedia.com Prairie Ridge's Ross Carpenter returns a ball while competing in a doubles match against Jacobs in Algonquin on Wednesday, April 24, 2013. 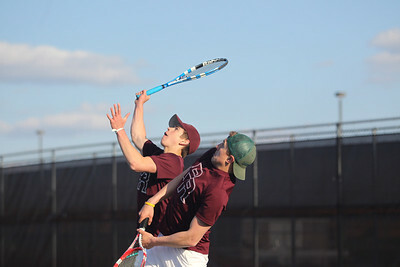 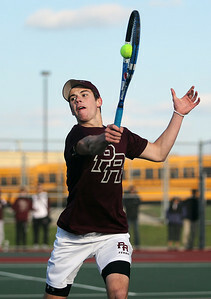 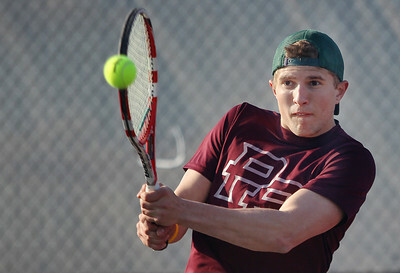 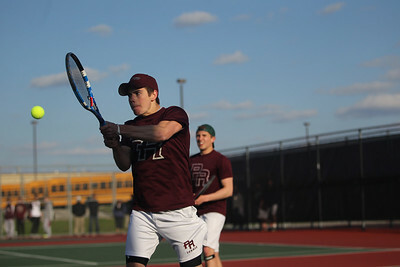 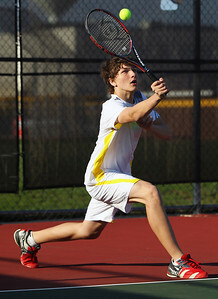 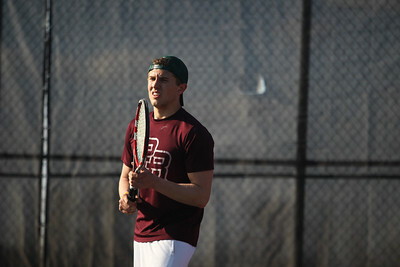 Sarah Nader - snader@shawmedia.com Jacobs' Michael Bujacz returns a ball while competing in a doubles match against Prairie Ridge in Algonquin on Wednesday, April 24, 2013. 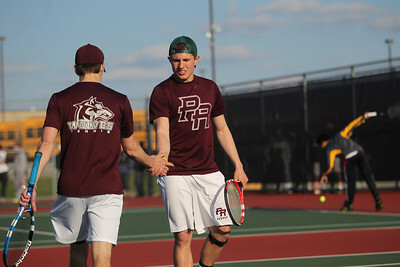 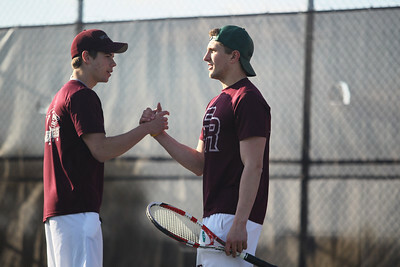 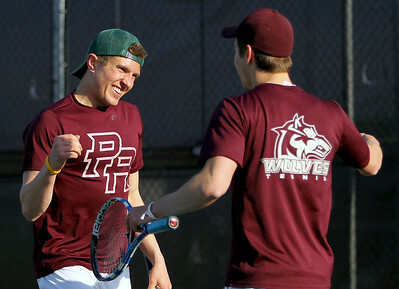 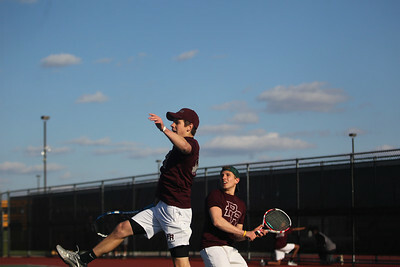 Sarah Nader - snader@shawmedia.com Prairie Ridge's Mitch Mohr (left) and Ross Carpenter celebrate a win while competing in a doubles match against Jacobs in Algonquin on Wednesday, April 24, 2013. 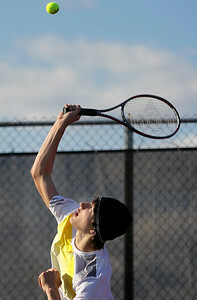 Sarah Nader - snader@shawmedia.com Jacobs' Michael Bujacz serves while competing in a doubles match against Prairie Ridge in Algonquin on Wednesday, April 24, 2013.